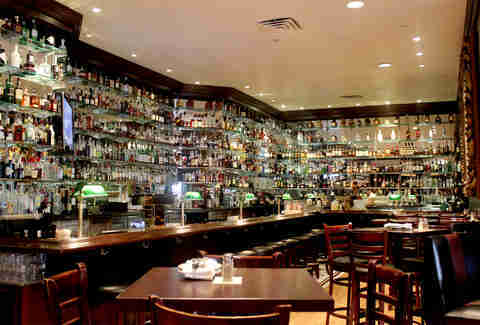 If you ask us, any bar that keeps a fair stock of booze on hand is truly a beautiful thing. Then again, we suppose there are other things that might work to help make a bar something more than just a temporary storage for liquor that hasn’t yet been drunk. 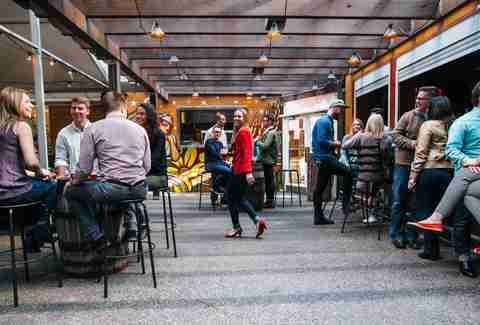 For those of you who look for more than a steady supply of alcohol, the Twin Cities definitely have their fair share of bars that are easy on the eyes sans beer goggles. 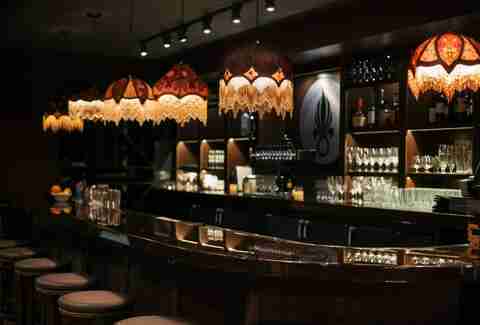 These are a few of our favorite places where we can appreciate the work that went into the aesthetic of the bar as much as the bar itself. This building has been rocking the booze since 1906 and while the outside might not look like a whole lot, the massively high-ceilinged interior is certainly a site. 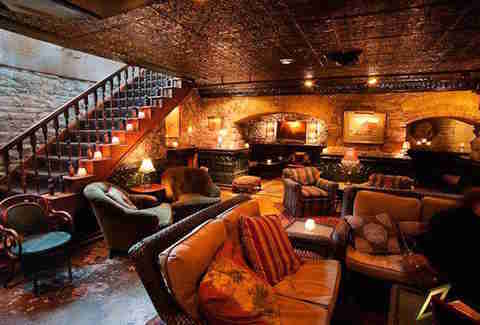 Aside from all of the gorgeous woodwork, the big fireplace, and all of the cool glass, it's also got a couple of Ouija boards hanging out at the bar for good karma. While the whole of the restaurant is classically beautiful, the bar section is an amalgamation of rustic comfort and refined character. It’s the perfect place to grab a bottle of wine and a platter of oysters, a martini and a cheese platter, or a beer and a burger. The newly redone Foreign Legion is a model for contemporary classics. The rich wood and dim lighting provide a cozy lounge-like atmosphere in a way that almost makes us feel like it’s a really modern, upscale version of Cheers. 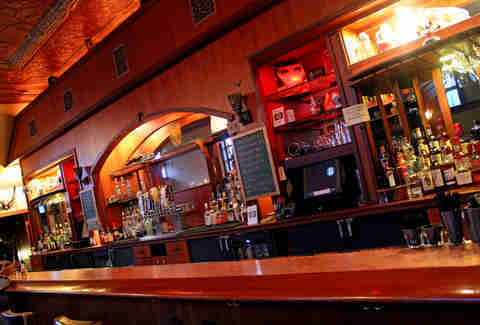 There’s also plenty of comfy seating for when you just need to get your drink on and relax. Seriously though, this restaurant really deserves to be on this list twice. While the main bar has incredibly gorgeous woodwork that proudly displays a vast array of luscious bourbons, the outdoor beer garden is equally as alluring, showcasing a variety of plant life, fire pits, and an eloquent little bar which can be utilized all year long. The downstairs lounge at this old-school St. Paul restaurant is truly one of the more magnificent spots in the Twin Cities. Upon arrival you’re instantly transported back to another era via the rich and intricate wood and the lavish stonework, making it the perfect place to just sit and sip on a well-crafted Old Fashioned. High ceilings, a copper-topped bar, and a giant wall of booze make this old Minneapolis bar truly a site to behold. While every inch of it screams old-school steakhouse, especially the ornate ceiling panels, it still manages to hang on to a slight air of modernism with the low-hanging chandeliers and the strategically placed track lighting. 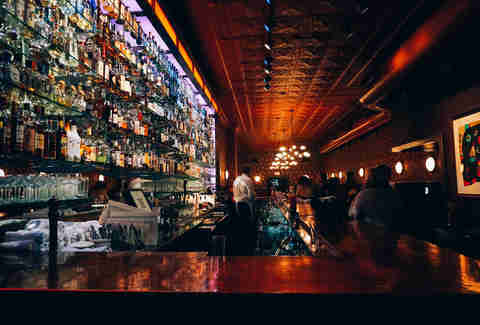 Another one of the Twin Cities' old yet extremely regal bars, filled with rich mahogany and shiny brass, showcases a fine selection of rare spirits and wine. 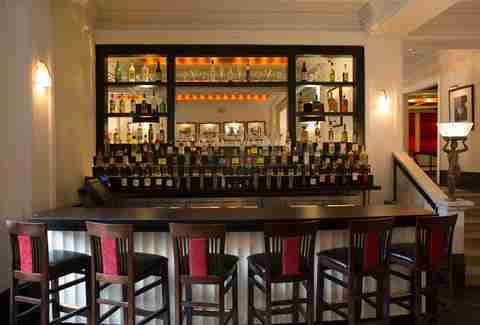 It’s the perfect place to pony up to the bar and order a Scotch, neat, while reflecting upon your life. This quaint little bar features simple, yet charming wood framing for its stonework backdrop which makes it feel more like a remote ski chalet than a Downtown bar and restaurant. It’s excellent for sipping on any one of the well-thought-out cocktails or a nice bottle of wine. 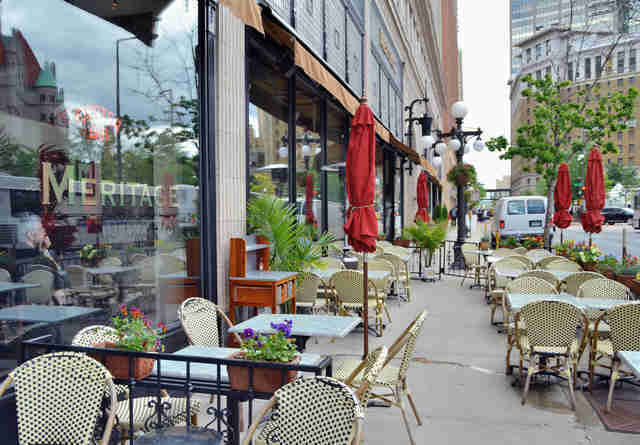 The first things you notice walking into this Downtown haute spot are the high vaulted ceilings, the long bar, and the intricate wood molding that frames the whole thing, making it a space like no other in the whole of the Twin Cities. 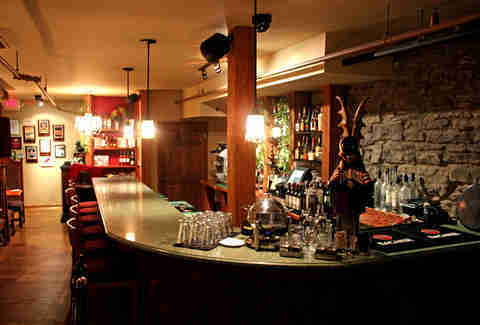 It's also got top-notch cocktails and beers to go along with its decor, so it's an ideal little spot to hit if you’re looking to try and impress your friends. 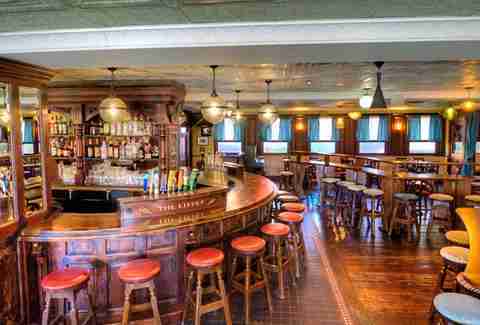 Everybody loves a good Irish pub and just across the way from the Xcel Energy Center sits this little masterpiece of a bar. 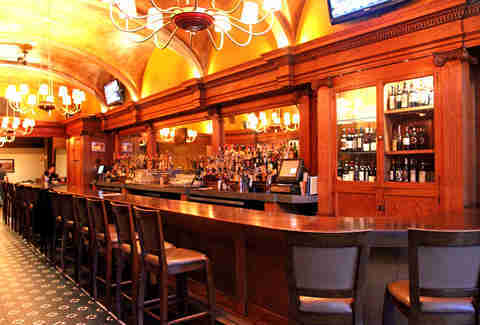 From floor to ceiling the ornate nature of the bar is on display, beautifully framing the lush, rounded bar which was actually constructed in Dublin before getting shipped overseas to eventually land itself in St. Paul. 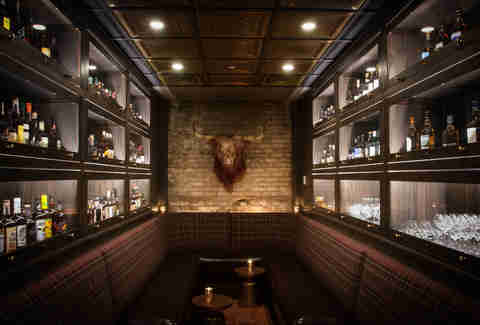 This is easily the one of the newest places on our list, but the lush, gothic nature of the bar really is pretty stunning. 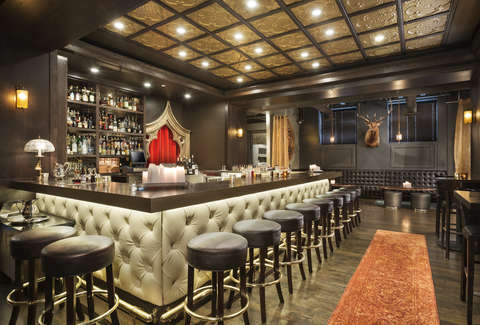 From the rich wood and leather paneling, to the ornate drapery and luxuriant nature of the archways, this German-esque hunting lodge-style craft cocktail bar is certainly a site to see. Keane Amdahl is a veteran Twin Cities blogger who occasionally notices more about a bar than just what's on its whiskey list. Follow his crazy antics on Twitter: @Foodstoned.